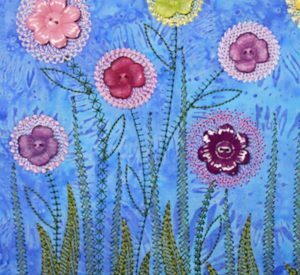 At the time, these were my most ambitious appliqué machine embroidery collection and they continue to be among my personal favorites. 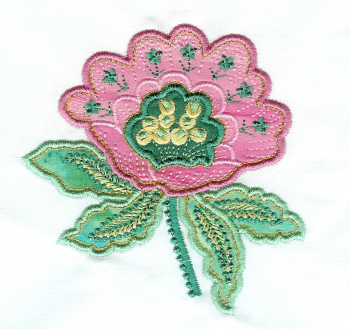 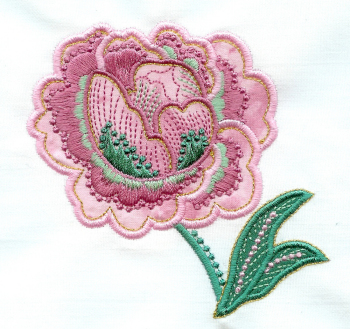 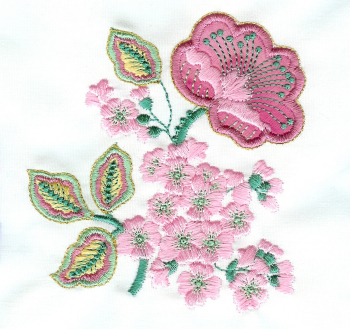 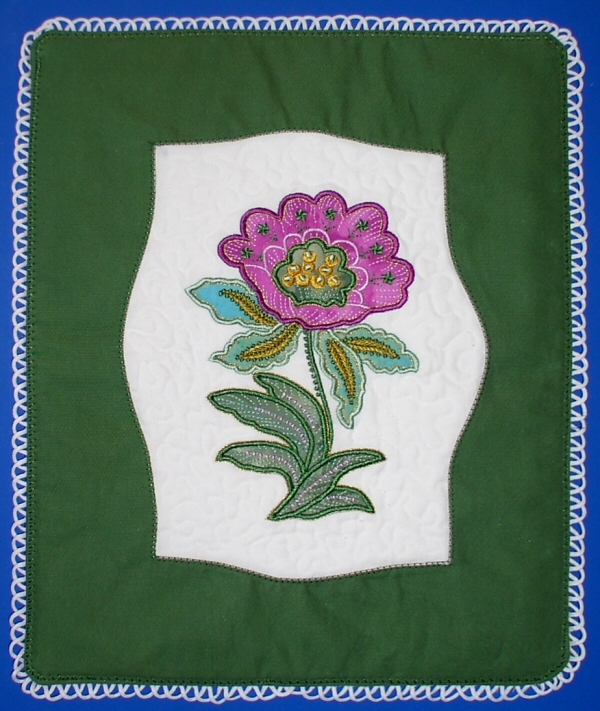 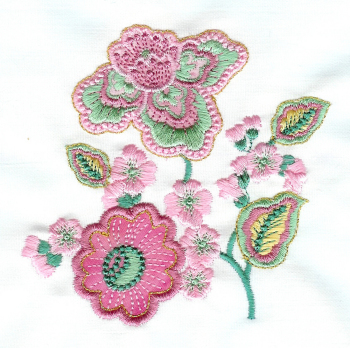 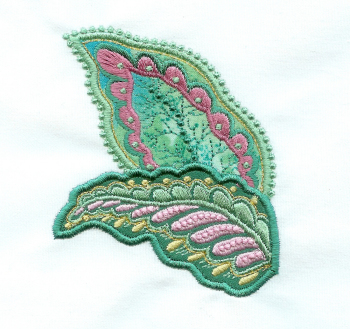 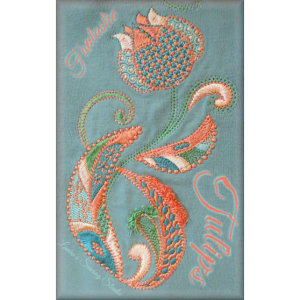 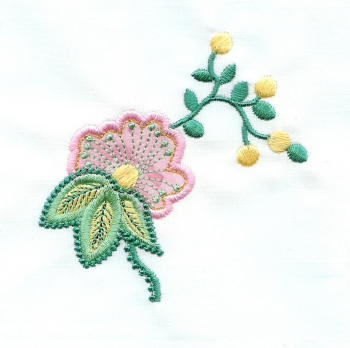 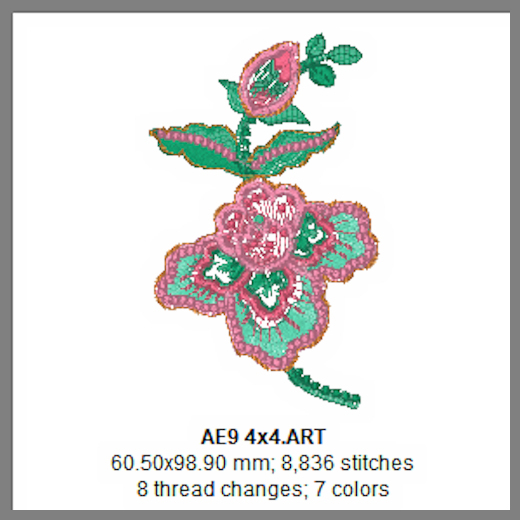 While the designs are applique, they’re richly ornate in their stitching. 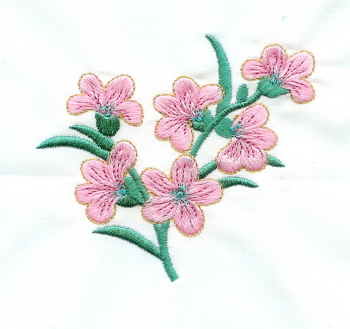 In the sewouts done here, I used “almost solid” fabrics to help accent the detailed stitching. 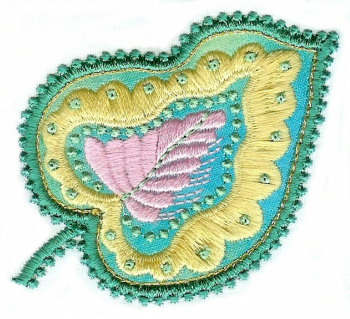 To add a bit sparkle, I finished off the stitching with metallic gold in the last color change. 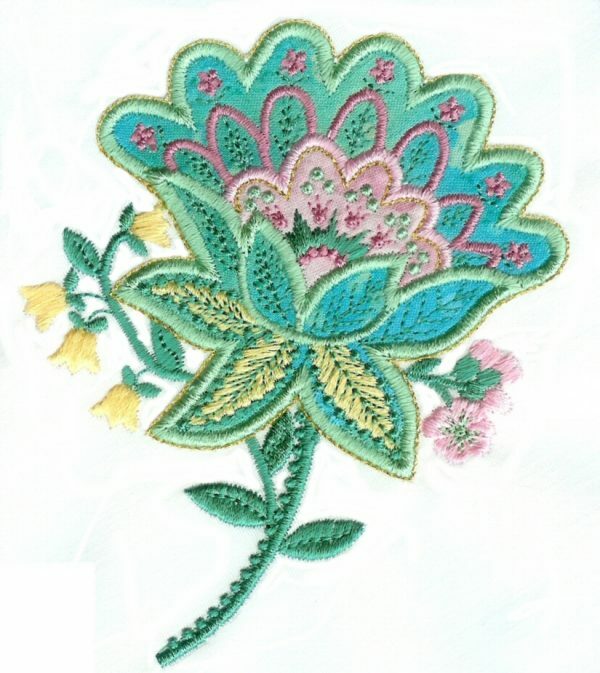 However, what’s important to remember is that you can make these your own, giving them your unique expression of elegance, limited only by your fabrics, threads, and imagination. 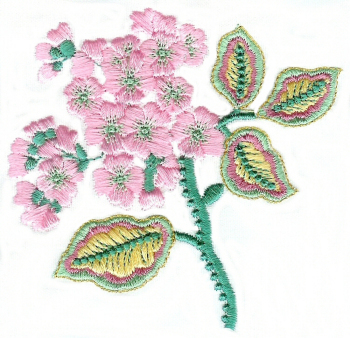 If what my customers have shared with me is but a sample, imagination and elegance are without limits, even it threads and fabric are in short supply. 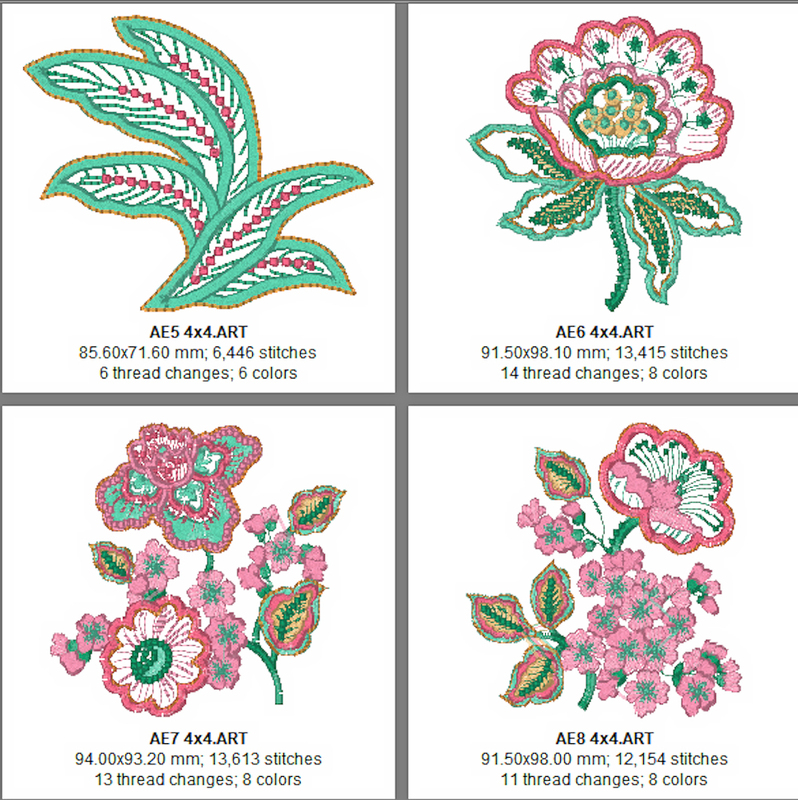 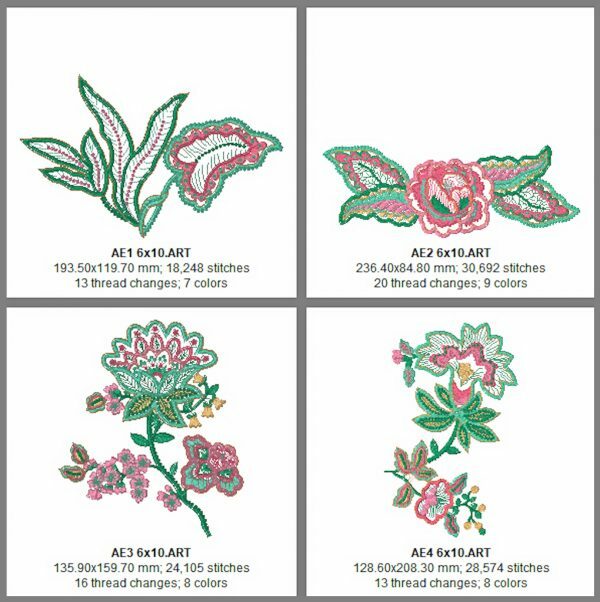 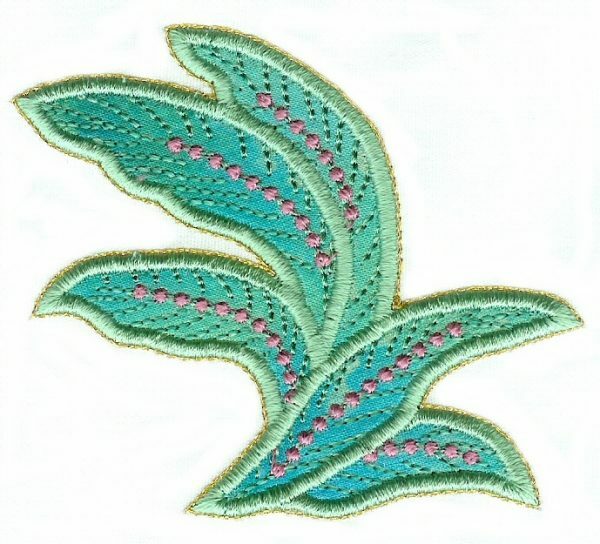 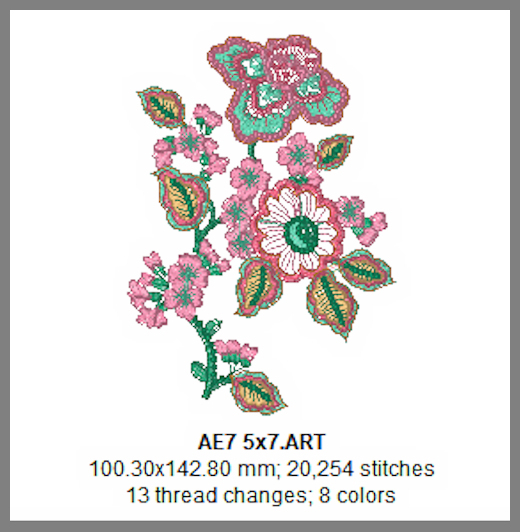 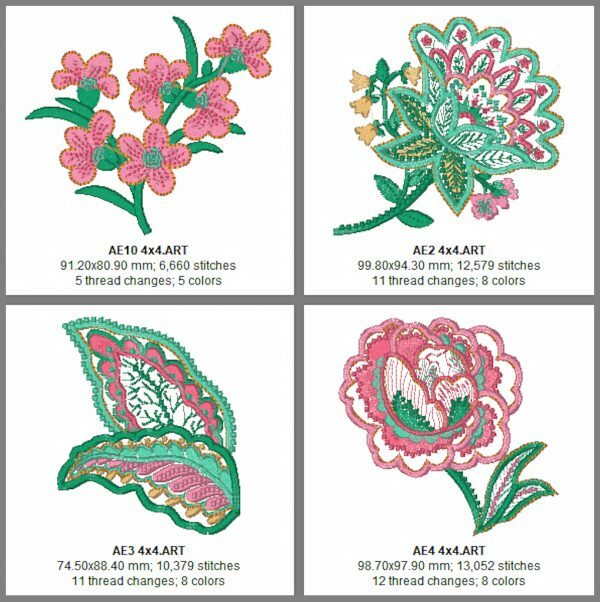 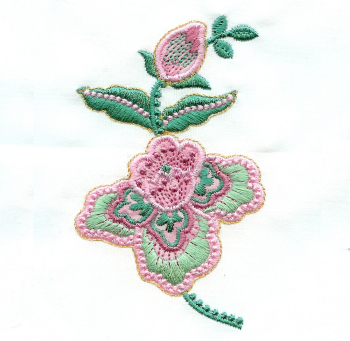 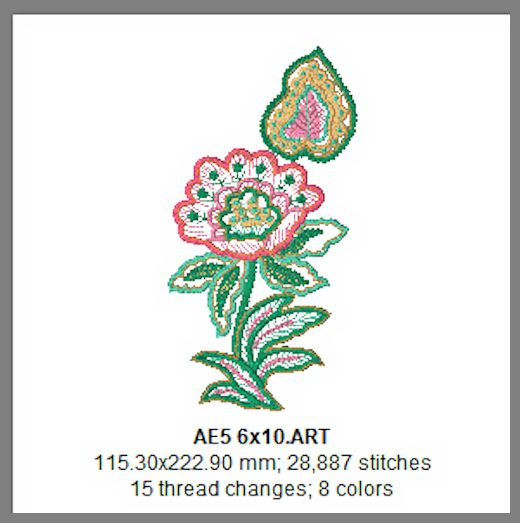 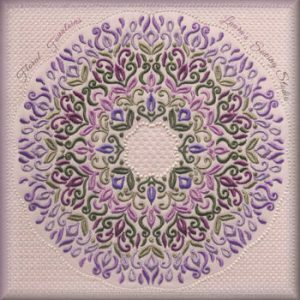 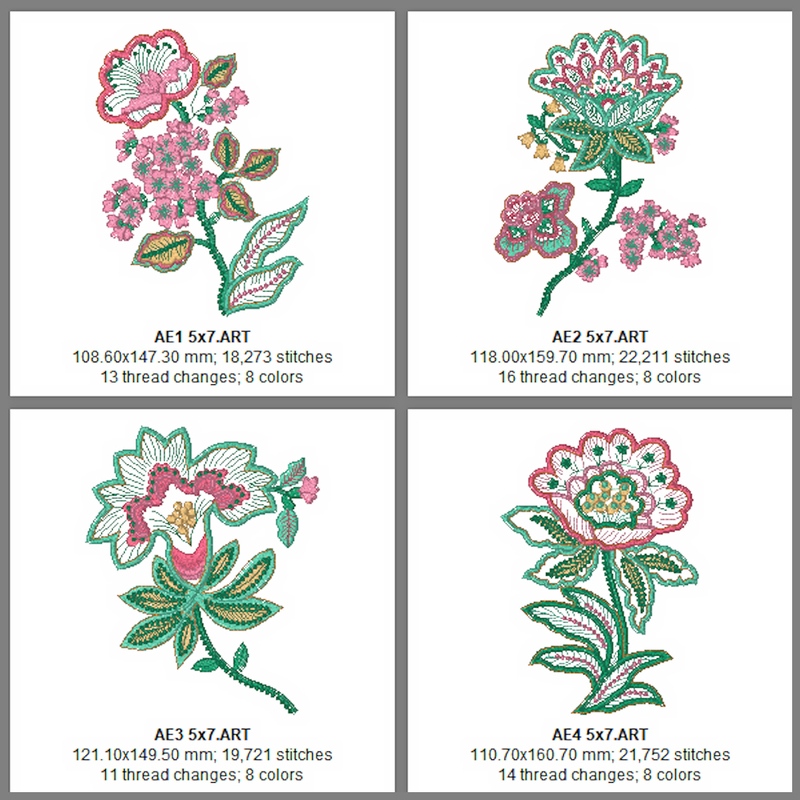 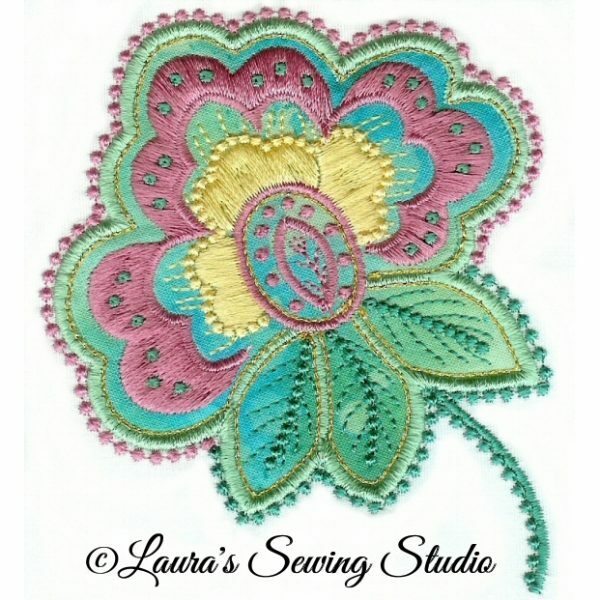 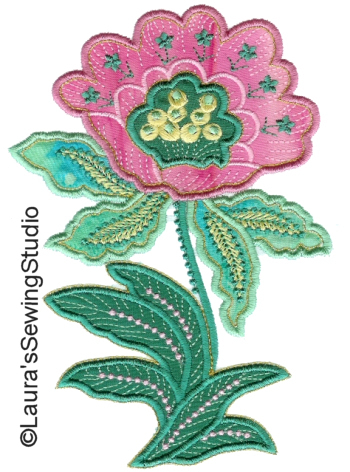 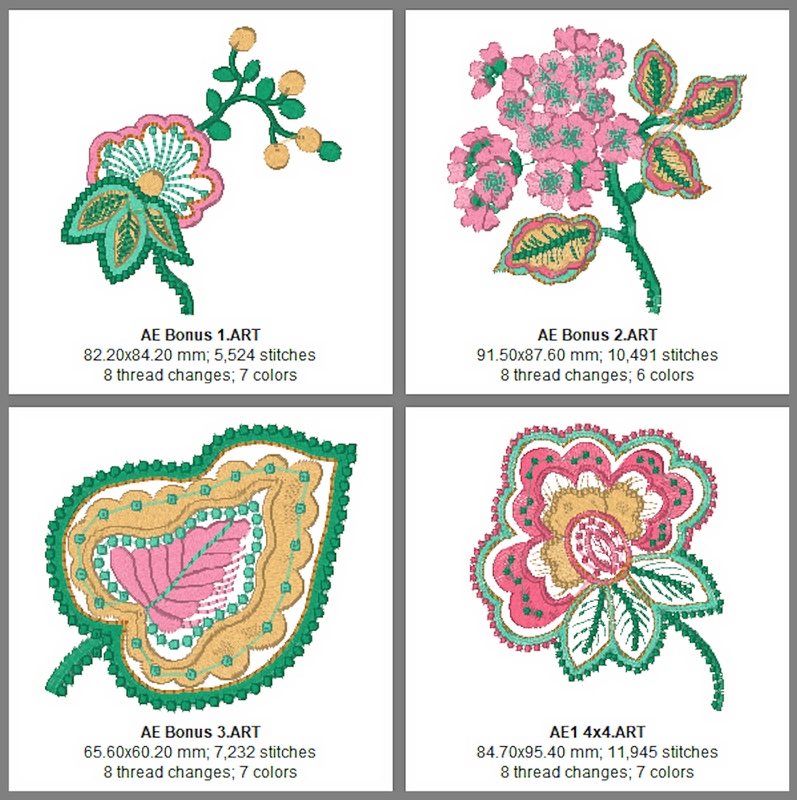 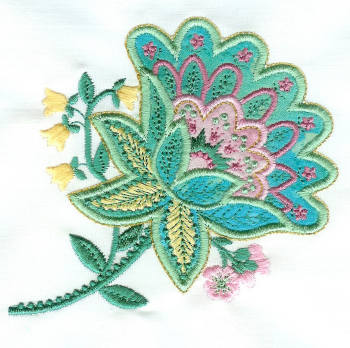 Applique Elegance includes 25 applique machine embroidery designs for the 4×4, 5×7 and 6×10 hoops.